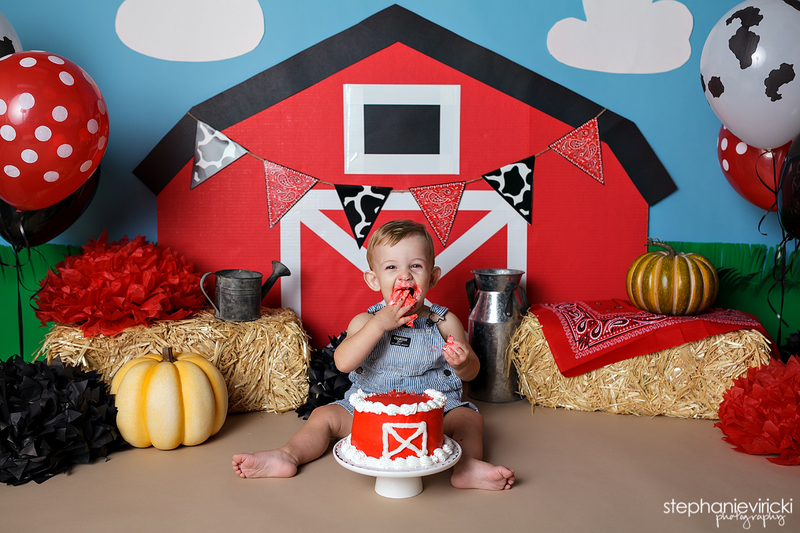 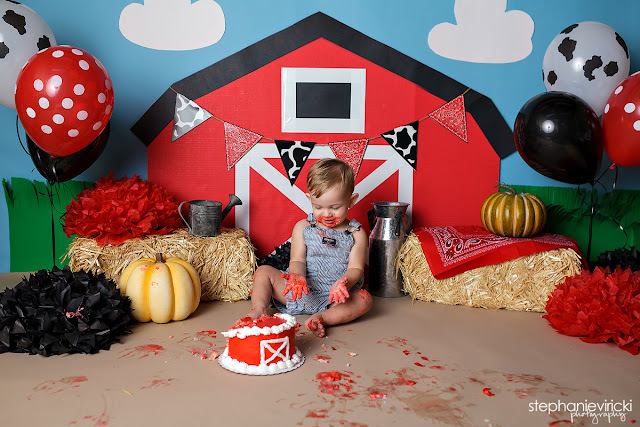 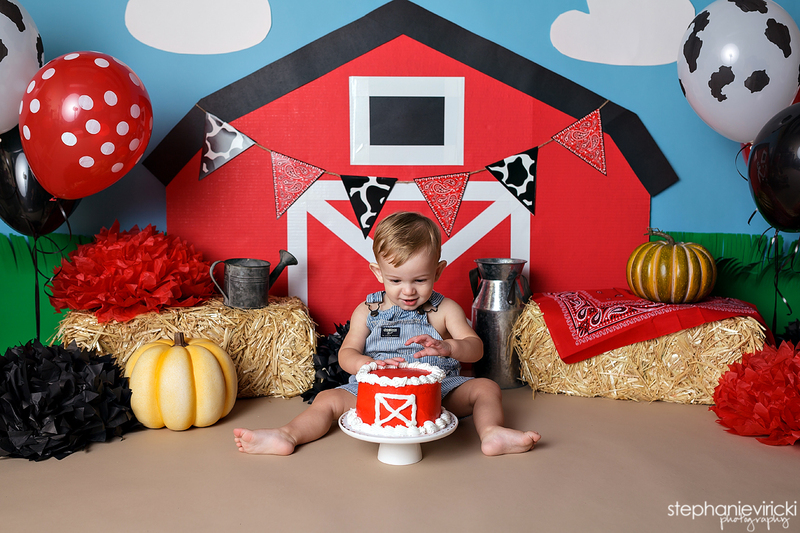 This sweet guy recently moved to a big farm and to celebrate we decided to have a barn themed cake smash. 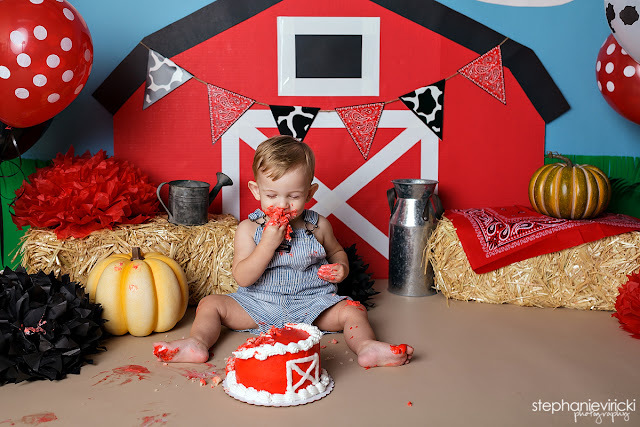 I'd say it was a huge hit. 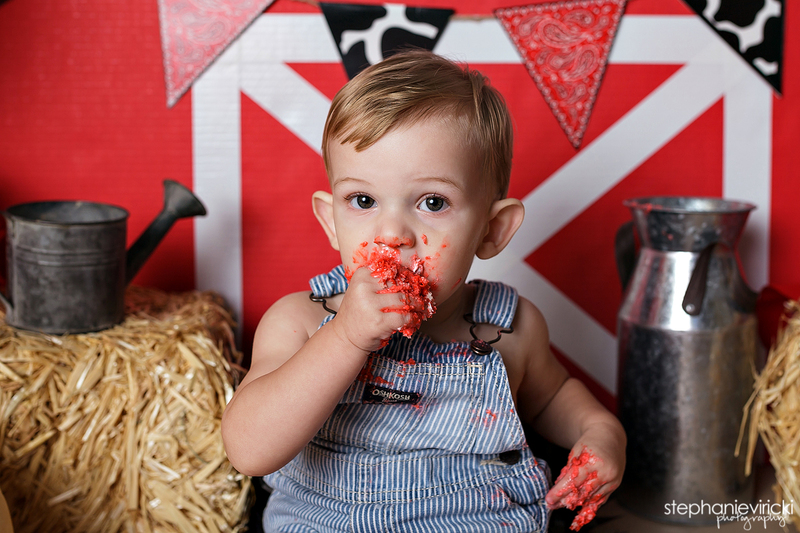 Just look at his face.